All of our used vehicles come with a 5-Day Money-Back Guarantee. That means if for any reason you’re unsatisfied with your used vehicle within the first 5 days of ownership, you can return the car for a refund. Our lowest No Bull price is posted on every car in our lot. Since the day we opened in March of 2007, we’ve believed that if there’s a price we’re willing to sell a car for, why keep it a secret? We all know that the manufacturer’s suggested retail price (MSRP) is just that, a suggestion. At Wilsonville Toyota, the price you see on the car is not the starting point; it is the point. Everybody gets our lowest price, every time. We offer a variety of used vehicle warranties at Wilsonville Toyota. For starters, all of our used vehicles come with a 3-month/3,000-mile limited warranty. You can get an even better warranty by purchasing a Toyota Certified Used Vehicle, which comes with a 7-year/100,000-mile powertrain warranty. And if you buy a used vehicle that still has its factory warranty, the remainder of the warranty is passed on to you. Are you concerned that the used vehicle you’re interested in has been in an accident or suffered from other damages? Don’t fret. Each of our used vehicles comes with a free CARFAX report so you can review the history of your potential purchase. 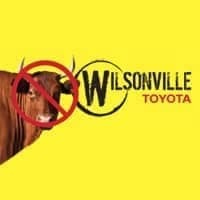 There’s no need to worry about quality when you buy a used vehicle at Wilsonville Toyota. Our used cars technicians perform a 71-point inspection on all used vehicles before they’re put on the lot. If that’s not enough, you may be interested in our Toyota Certified Used Vehicles, each of which receives an extensive 160-point inspection.